This year we’ve revamped and consolidated our grants programs into individual and organization focused community service awards – and we will celebrate both at a combined ceremony in March! Six individuals and six organizations will be recognized for their community service. Each honoree or organization will receive complimentary badges to SXSW, a grant, and a chance to spread the word about their work to the SXSW community. 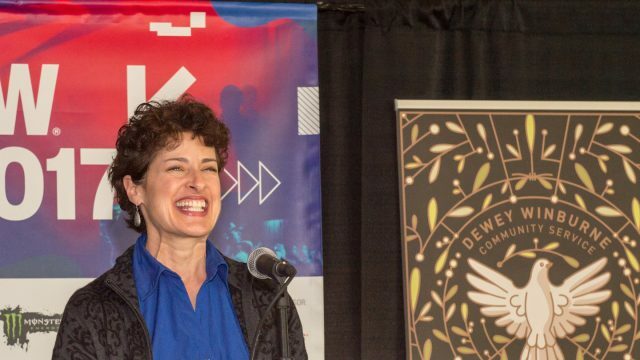 Learn more about the 2018 SXSW Community Service Awards below and apply before the deadline Friday, August 4 at 11:59pm PT. Six individuals will receive a grant to an eligible 501(c)(3) or eligible charity of their choice as well as a complimentary registration to SXSW 2018. The Community Service Award is intended to honor the breadth of community service work of five individuals rather than organizations or groups. We are looking for individuals whose creative community service work bridges the digital divide, impacts the community positively and includes some degree of grassroots or hands-on organizing. Six organizations will also receive a grant to continue or begin their work and will be honored at the SXSW Community Service Awards. To qualify, an organization must be a charitable organization exempt from federal income tax under section 501(c)(3) or be otherwise qualified to receive charitable contributions. The selection committee chooses organization grantees based on their connection to one of the following aspects of SXSW: Interactive, Film, Music, Edu, or Gaming.